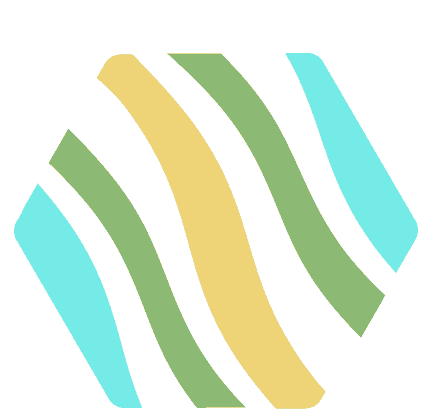 Zambia’s diverse mineral endowment is entirely a function of the variety of geological terrains and the multiplicity of thermal and tectonic events that have overprinted and shaped these terrains. 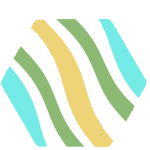 The resulting geological domains each have specific metallogenic characteristics in terms of known mineral occurrences that can be successfully utilized to direct further exploration. Equally importantly, the understanding of the processes that formed these domains has reached a level at which lateral thinking and conceptual modelling can be used to generate important new exploration targets. The complex geology and multiplicity of tectono-thermal events reflect Zambia’s somewhat unique position effectively sandwiched between the Kasai, Zimbabwe-Kaapvaal, and Tanzania cratons. Differential movements between these stable blocks, together with their buttressing effects, have played an important role in the geological evolution of the country and hence in the genesis of the country’s mineral and energy resources. 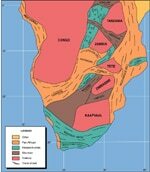 Check out this link to see the geology of Zambia in one picture. 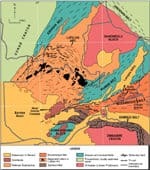 The oldest succession of rocks in the country, the Basement Supergroup, consists mostly of granitic gneisses and migmatites which are evident throughout eastern, central and southern Zambia, in places in-folded with meta-carbonate, meta-quartzite, and meta-pelite units. The Supergroup rocks are mostly younger than 2050Ma. The overlying meta-sedimentary Muva Supergroup generally exhibits a tectonized contact with the Basement sequences. In central and eastern Zambia the sequence of meta-pelites and meta-quartzites is commonly infolded and even imbricated with the Basement rocks, the two sequences being later folded to form the core of the Irumide Belt extending north-eastwards from Kabwe to Mpika, and also forming a major component of the Zambezi Belt south and east of Lusaka. Within the Bangweulu Block of northern Zambia the sedimentary sequence is very different, comprising a lower 5000m-thick succession of cont-inental sediments (rudites, arenites, quartzites and argillites) – the Mporokoso Group, overlain by quartzites, hematitic sandstones, mudstones and minor conglomerates of the Kasama Formation which ranges in thickness from c.100m over the Bangweulu Block to 3500m southwards into the Irumide Belt. Sedimentation commenced around 1800Ma and ended c.1250Ma. 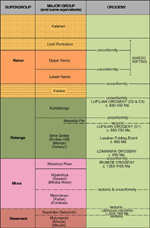 The Katanga Supergroup overlies the Basement and Muva sequences with marked angular unconformity and spans an approximate time interval of 1000Ma – 500Ma. The rocks are exposed throughout the Copperbelt and north-western Zambia, partially overlie the southern edge of the Bangweulu Block, and also occur within the Zambezi Belt south and east of Lusaka. The lower part of the almost exclusively sedimentary sequence is the economically important Mine Series Group which hosts the bulk of the copper-cobalt mineralization of the Copperbelt. This sequence was deposited in response to a NE-directed marine incursion across a deeply dissected continental landscape, the lowest unit – the Lower Roan Formation – comprising conglomerate and aeolian sandstones succeeded by siliciclastic sediments and finally by argillites, dolostones and arenites. The overlying Upper Roan is a predominantly dolomite-argillite sequence which is succeeded conformably by carbonaceous shales, argillite and minor carbonate rocks of the Mwashia Formation. An hiatus of as much as 100 million years was succeeded by a period of glaciation and the deposition of a tillite unit, the “Grand Conglomérat”, at the base of the Kundelunguu Group. This was followed by a thick sequence dominated by dolomitic limestones, shale, a further tillite and a fine shale-dominated unit. A poorly defined unit, the Kataba Group, comprising unmetamorphosed marine sandstones and mudstones, has been intersected by drilling beneath basal Karoo rocks and has been broadly dated as Ordovician-Silurian. The extent of the unit is not known. Rocks of the Karoo Supergroup (late Carboniferous to Jurassic) occupy the rift troughs of the Mid-Zambezi, Luangwa, Luano-Lukusashi and Kafue valleys and also outcrop in western Zambia. The Lower Karoo Group comprises a basal conglomerate, tillite and sandstone overlain unconformably by conglomerate, coal, sandstone and carbonaceous siltstones and mudstones (the Gwembe Formation), and finally fine grained lacustrine sediments – the Madumabisa Formation. The unconformably overlying Upper Karoo essentially comprises a series of arenaceous continental sediments and overlying mudstones capped by basalts of the Batoka Formation. In western Zambia and within the Zambezi Valley, the Batoka basalts are unconformably overlain by up to 100m of continental sandstones and mudstones of Cretaceous age, and much of western Zambia is covered by aeolian sands and minor epiclastic sediments of Quaternary – to – Present age comprising the Kalahari Group. A number of major tectono-thermal events have affected Zambia and have often contributed directly to the accumulation of metals, minerals and even energy resources. The earliest recognizable event in the region was the Ubendian Orogeny, c.2000-1800Ma, which generated the NW-SE-trending fold belt of high-grade metamorphic rocks that demarcates the north-eastern margin of the Bangweulu Block. The next major orogenic event was the Irumide Orogeny which resulted in extensive folding and shearing of Basement and Muva rocks in central and eastern Zambia during the period 1350-1100Ma, broadly synchronous with the Kibaran Orogeny of D. R. Congo. Intrusive granitic magmatism accompanied the orogeny in the Choma-Kalomo Block (1345-1200Ma), and charnockitic granites were emplaced in the Basement-Muva terrain east of the Luangwa Valley at about 1100Ma. The Irumide Belt has been interpreted as a NW-facing, 350km-wide foreland fold and thrust belt resulting from NW-SE-directed crustal shortening. In the northern sector of the belt, this contraction was accommodated by the Luongo Fold and Thrust Zone near the southern margin of the Bangweulu Block and by the Shiwa Ngandu Fold. Shortening in the south-western part of the belt was taken up within the Mkushi Gneiss Complex, which has been interpreted as a “pop-up” structure. The subsequent Lomamian and Lufilian Orogenies, the latter broadly equivalent to the continent-wide Pan-African Orogeny, were represented by a complex series of tectonic and thermal events in the approximate time interval 950 – 450Ma. Early recumbent folding of the Lower Roan sequence during the c.950Ma Lomamian Orogeny (although there is some debate as to whether this represents a discrete major orogenic event). ENE-directed thrusting contributing to the development of the Kafue Anticline and other Domes as Basement culminations. Concommittant WSW-directed thrusting of the Zambezi Belt, the Zambezi and Lufilian Arc terrains being separated by the Mwembeshi Shear Zone, a transform shear forming part of a major inter-cratonic zone of dislocation. “Lusakan Folding” event at c.850Ma that accompanied deep burial of the Lower Roan. Main phase of NE-directed thrusting, probably c.850-750Ma, with nappe emplacement in the Shaba Province of D. R. Congo and possibly also in the Copperbelt. Syntectonic emplacement of batholithic granites into the Zambezi Belt c.820Ma. Strike-slip faulting and late folding c.690-540Ma. Emplacement of syn- to post-tectonic granites: Mtuga Granite and Mkushi aplites c.607Ma; Hook Granite Complex 570-530Ma; Sinda Batholith near Petauke at c.490Ma. The final tectono-thermal event was the Karoo Rifting associated with the break-up of Gondwanaland during the Permian followed by opening of the proto-Indian Ocean in the Jurassic; and a final episode of rifting related to the development of the East African Rift system in late Cretaceous and early Tertiary times. The Permian rifting was accompanied by reactivation of the Mwembeshi Shear Zone. The complex history of rifting in the region accounts for the marked variations in sedimentation within Zambia’s rift valleys, culminating in the eruption of the late-Karoo Batoka basalts.